Passionned Group (since 2004) is the leading expert in data science and intelligent organizations. Our office and training centre are located in the same building as the Fletcher Hotel Amersfoort. Do you have a question or do you want to make an appointment, please contact us by phone or the contact form. By road: From the Mass Pike (I-90), Follow signs to 93 North, take the Callahan Tunnel Exit, stay right, do not go through tunnel, turn right at the traffic light, go back under the expressway. Then stay in left lane, and turn left onto Clinton Street, use entry 8 to building. Garage parking on right. Travel by public transport to our Boston office: Take MBTA - Green Line to Government Center stop. Exit Station and continue walking East towards Faneuil Hall/Quincy Market. Cross Congress Street. 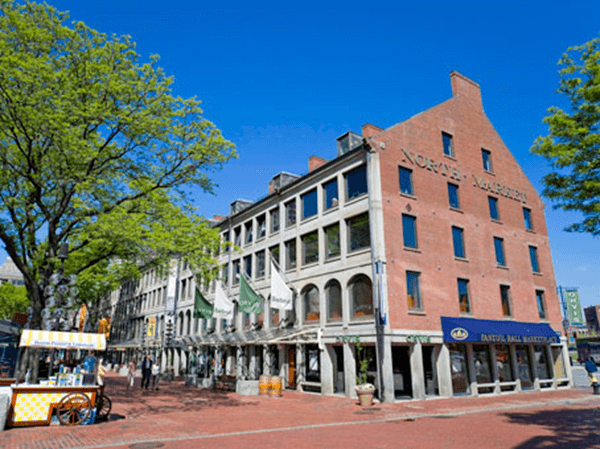 Our office is located in the North Market Building (number 8, 3rd floor) on the north side of Quincy Market. We love to help you getting started with contact us for smart data integration.